Scientists have been asked to develop zero-pollution firecrackers that do not cause health hazards to children, Union Environment Minister Harsh Vardhan said on Sunday ahead of Diwali. 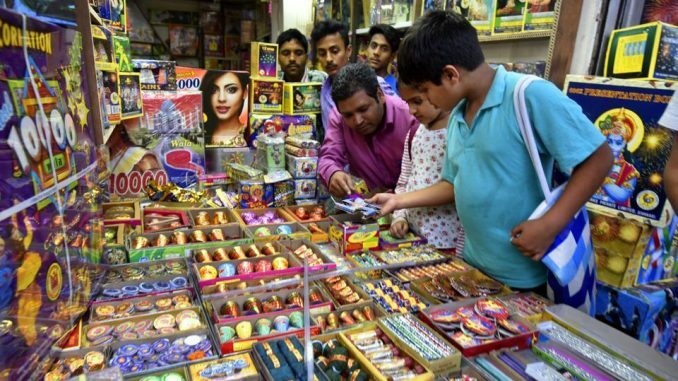 The comments come close on the heels of the Supreme Court banning the sale of firecrackers in Delhi and the National Capital Region (NCR) till October 31. Flagging off the ‘Run for Clean Air’ campaign here as a part of the ‘Clean Air Campaign’, he said that the ill-effects of pollution cause maximum problems to children. The event was attended by around 10,000 students from various schools in Delhi and the NCR. “Dr Harsh Vardhan told the gathering of students that the scientists have been asked to develop zero-pollution firecrackers that do not cause health hazards to children,” the union environment ministry said in a statement. On this occasion, Vardhan also administered a pledge to promote clean air — “Let us together pledge for a New India… Let us together pledge towards a Clean India… Let us together pledge towards a casteism-free India”. Speaking on the occasion, Minister of State for Environment Mahesh Sharma said ‘swacchata’ (cleanliness) has to be a collective endeavour. “The legacy that we leave behind in terms of clean air is very important,” he said. Singer Durga Jasraj, sang a couple of compositions, including a song on the importance of clean air. Environment-friendly slogans on banners and posters such ‘Sab milkar karo virodh, roko Paryavaran ka durupayog’ dotted the India Gate lawns. The ‘Clean Air Campaign’ was launched to create a mass movement to reduce air pollution.